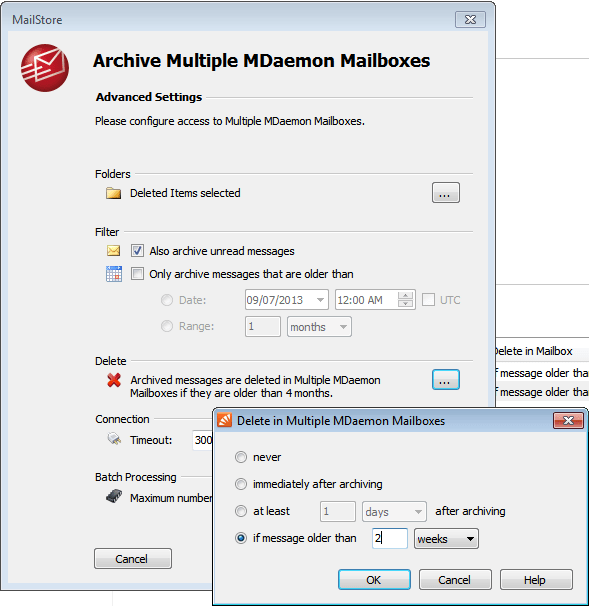 One of the key advantages of using MailStore to archive users mailboxes from your mail server is the ability to delete old email once it has been successfully archived. Typically customers choose to delete messages from users mailboxes that are older than a year, But what if you want to treat some mail folders differently to others? A good example of this is the ‘Deleted Items’ mail folder. You may be wondering why we archive the deleted items folder but we actually find this quite useful. If you archive the deleted items folder mailstore will move any message it has previously archived into a deleted items folder within the users archive and so helps record what the last destination was for a message. This is Definitely helpful when you want to find out why a message was not replied to. However its not usually necessary to store these deleted messages on the mail server for very long. 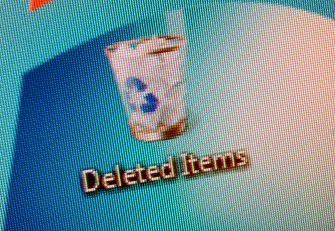 A few days or maybe a couple of weeks is plenty of time for a user to remove items they may have mistakenly deleted. What would be nice is a way to run a scheduled task once a day to clear down the deleted items folder so it only contains the last two weeks of email. What we can do is create a specific archiving rule to keep only the last two weeks worth of deleted items email after it is archived. 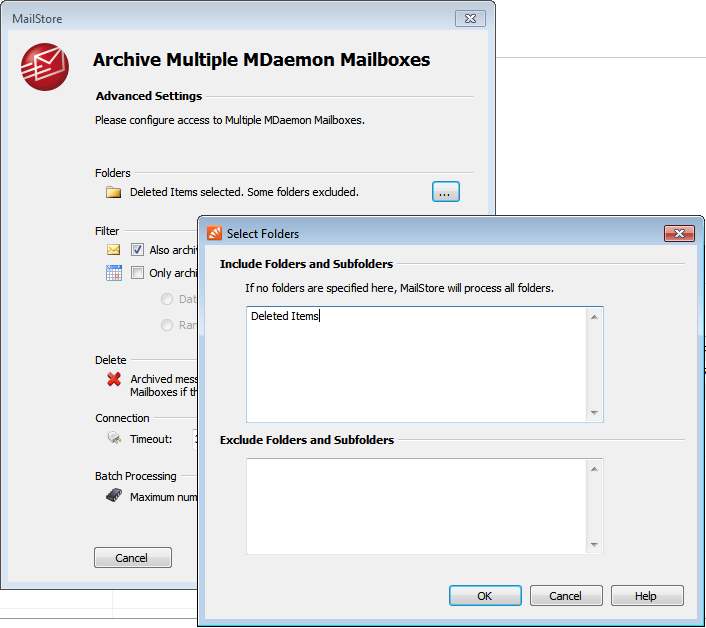 For example on our own MailStore server we archive our MDaemon mail server, so there is a ‘Multiple MDaemon mailboxes’ job that is run once a day to scan through all the users mailboxes to archive their content. We have configured this job to delete any messages it finds that are older than 4 months. Most customers stick to 1 year, but we found we did not need to keep so much and reduced it to 4 months. What we can do is copy this job and change the copy so that it only acts upon the ‘Deleted Items’ folders in each of the users mailboxes. Bare in mind it will act on any folder named ‘Deleted Items’ but it is very unusual for users to use that name for any other folders so this should not matter. If we just enter the folder ‘Deleted Items‘ then this job will only archive items in folders of that name and ignore all other folders it finds.. Finally we can edit the setting for when to delete emails it finds and change this to two weeks. The final step is to Right Click again on the new job and choose Schedule to set a time to run the job automatically. It is best if you either run this job before or after the mail ‘Multiple MDaemon Mailbox’ job but not at the same time. Copying archive jobs in this way is a very useful feature in MailStore. Another way it can be used is to specify specific deletion polices per user instead of per folder but just remember if you do setup a job to act on just one users mailbox make sure you remove that user from the existing ‘global’ job.